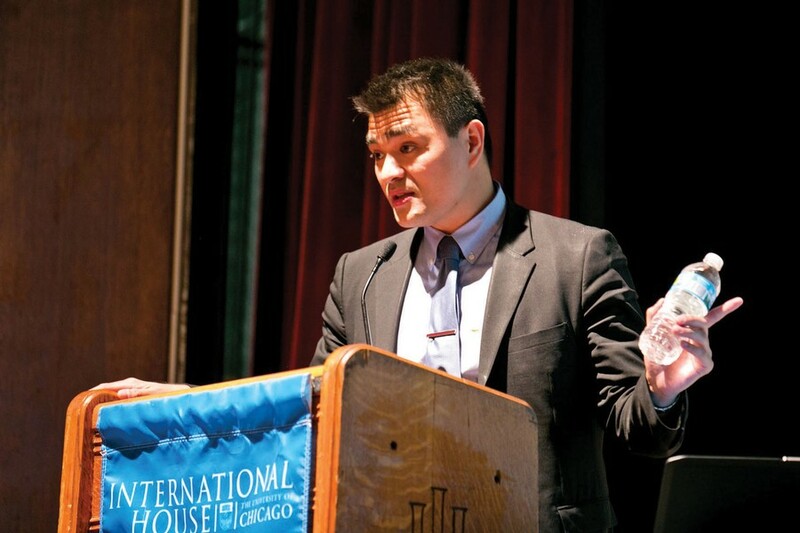 Pulitzer Prize-winning journalist Jose Antonio Vargas reflected on his experiences growing up as and coming to terms with being an undocumented immigrant at the International House Wednesday night. Vargas has published over 700 stories, from his 2007 work on The Washington Post’s pulitzer-winning coverage of the Virginia Tech massacre to reporting on the 2008 presidential campaign in 2008 to profiling Mark Zuckerberg for The New Yorker in 2010. However, it was not until his 2011 essay for The New York Times, “My Life as an Undocumented Immigrant,” that Vargas finally revealed his immigration status and founded DefineAmerican, a social media campaign centered around sharing the stories of undocumented “dreamers” across the country. While famous figures like Stephen Colbert and Secretary of State Hillary Clinton have participated in DefineAmerican, uploading videos explaining how they define “American” (“How do I define American? I look in the mirror,” Colbert asserted smugly), Vargas insists that the importance of the project relies mainly on the contributions of students and everyday allies from all social backgrounds. Drawing on economic as well as historical examples comparing the current state of American immigrants to those inspected and registered at Ellis Island a century earlier, wVargas highlighted the extent to which undocumented immigrants have been integrated into American society. When asked by an audience member why more focus was not given to the economic costs and benefits of immigration over pure emotional appeal, Vargas underscored the importance of remembering the individual and collective “humanity” that permeates the immigration issue despite the availability of objective factual evidence. Fourth-year Jonathan Rodrigues, who co-founded the University of Chicago Coalition for Immigrant Rights (UCCIR), also acknowledged the effectiveness of storytelling in promoting immigrant rights. “We invited him because he already has a story to tell, a story that is much like any other undocumented immigrant. He is lucky, and he recognizes that, and UCCIR wanted to spotlight his story as one that should be repeated every day in America and in our campus,” Rodrigues said. Over 20 RSOs and on-campus organizations, including Office of Multicultural Student Affairs and the Office of LGBTQ Student Life, sponsored the event. As part of the Minority Men Policy Series, the talk was presented as a celebration of Asian American Heritage Month, as well as the one-year anniversary of the Illinois Dream Act, which established a private scholarship fund for children of undocumented immigrants seeking higher education opportunities.